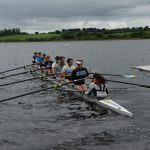 UCD’s first races of the weekend were the Division 1 2- heats, which doubled as a selection trial for the Home Internationals in Cardiff in July. 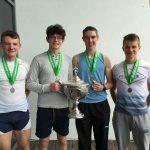 UCD had two Mens Intermediate 2- entries, with Ross Thompson and Niall Farrell finishing 6th fastest, securing a place in the A final and on the Home Internationals team. Colm O’Riada and Joe Ronaldson finished 14th, just missing out on the B final. Thompson/Farrell finished 5th in the A final (2nd Intermediate) and O’Riada/Ronaldson 2nd in the C final (14th overall, 4th Intermediate). 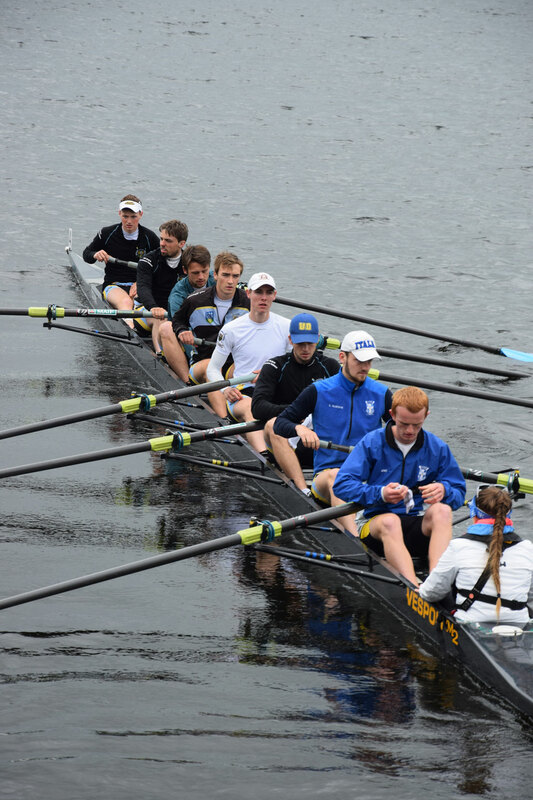 Next up was a straight final for Division 2 8+, where UCD had a Mens Club 2 8+ and Mens Novice 8+. 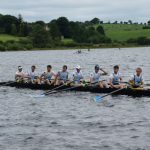 The Club 2 8+ saw off a strong challenge from the Trinity novices to finish first by 4 seconds with the Novice 8+ getting good race experience alongside Castleconnell and Shandon. 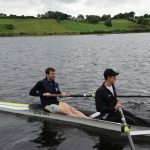 In the Mens Senior 1x, UCD Ad Astra students and lightweight rowers Andrew Goff and Paul O’Donovan qualified for the A final from a large field, with Paul recording the fastest time overall. In the final Paul found further speed to win by 8 seconds over his brother Gary, with Andrew finishing 6th, less than 3 seconds back from 3rd. 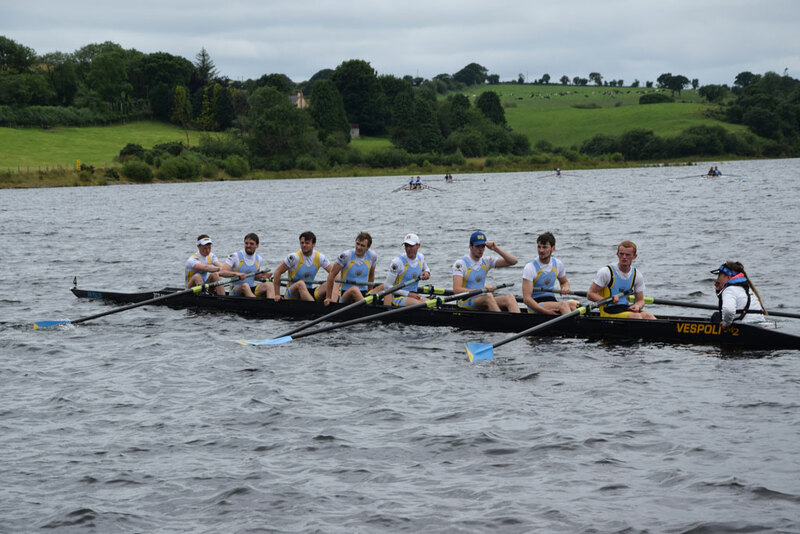 The afternoon session brought the Division 1 4+ where UCD had two entries in Mens Intermediate 4+. 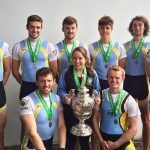 UCD A went through to the A final, recording the fastest time in the heats racing alongside competitive crews from St Michaels and UCC while UCD B went to the B final. 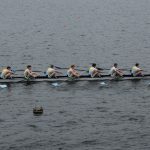 The final saw a fierce battle emerge between NUIG A and UCD A with both crews level as they charged down the body of the course, opening a clear lead on the rest of the field. 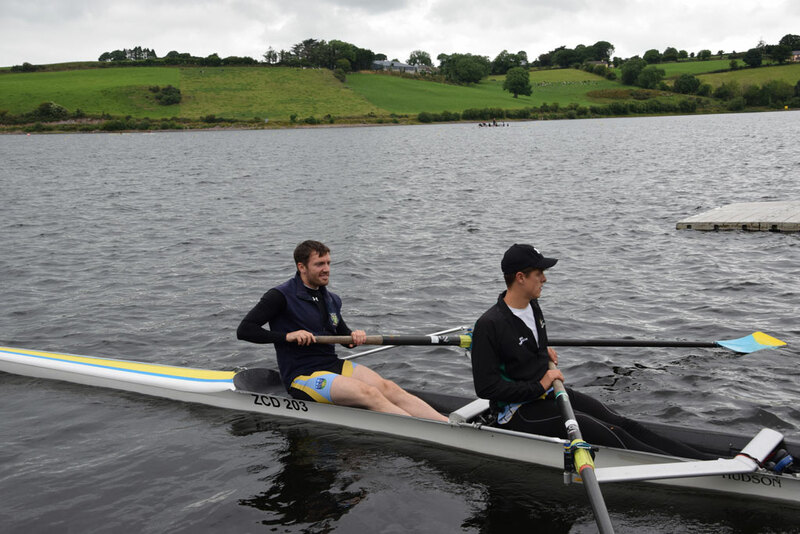 UCD were able to find an extra gear in the last 500m that took them ahead of NUIG, winning by half a length. 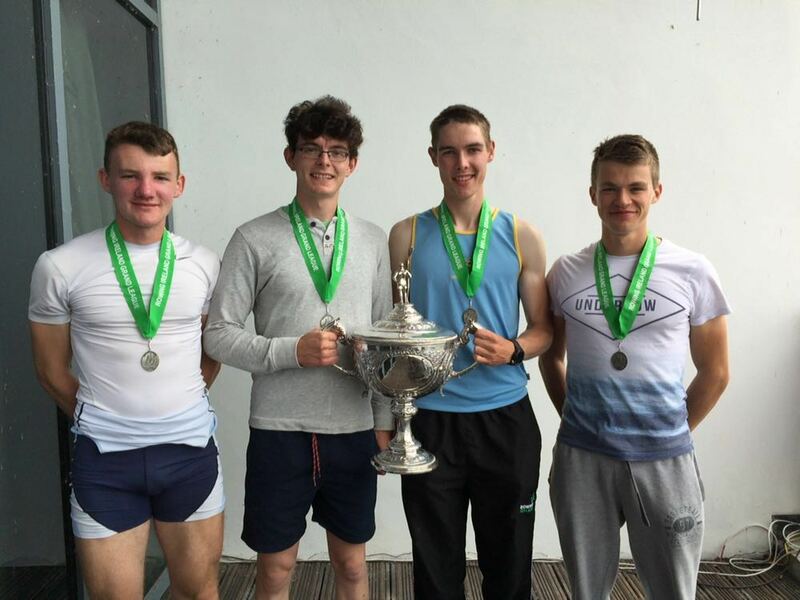 In Saturday’s final race, UCD student Shane O’Connell formed part of the UCC/Tara/UCD/Skibbereen composite that had a clear win in the Mens Senior 4x-, finishing in 6:04.368, 16 seconds ahead of 2nd placed Shandon. 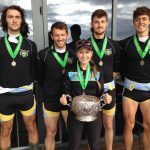 Sunday morning began for UCD with our Club 2 4+ finishing 2nd fastest in the heats, half a second off Cork Boat Club. Cork were again the main opposition in the final with UCD leading for the majority of the race only for Cork to find a way through at the end, winning by just over a second. Shane O’Connell and Andrew Goff joined up for Mens Senior 2x, finishing 2nd fastest in the heats and 3rd in the final, 1.5 seconds off the Rowing Ireland crew selected for this season’s World Rowing Junior Championships, showing impressive speed for what was a very short amount of time together in the boat. 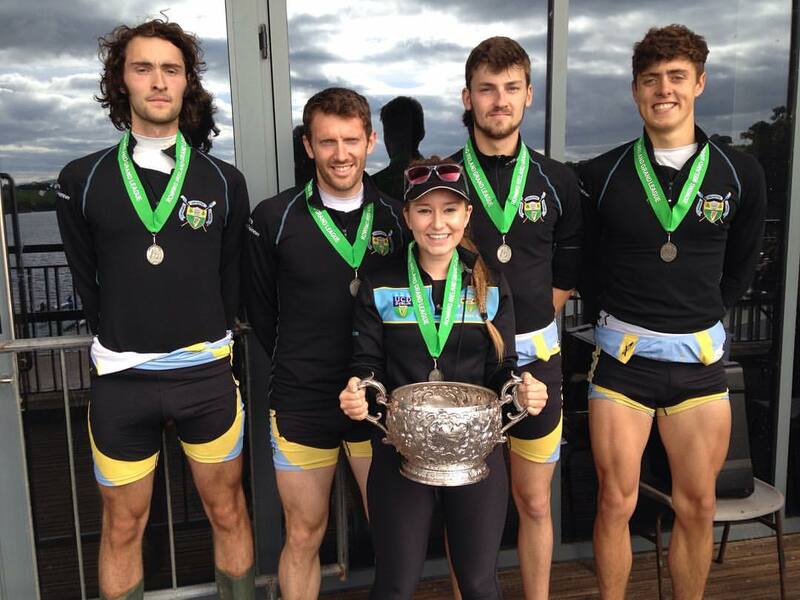 Meanwhile, Saturday’s winning Intermediate 4+ took to the water for Mens Senior 4- and some more racing experience. They were not out of place at that level, finishing 3rd fastest in the heats and 2 seconds off first, but for the final the Division 1 8+ took precedence. The Novices got some more racing under their belts in the Mens Novice 4x+ before the final event of the weekend got underway with UCD’s Mens Intermediate 8+ finishing first in the heats for Division 1 8+. 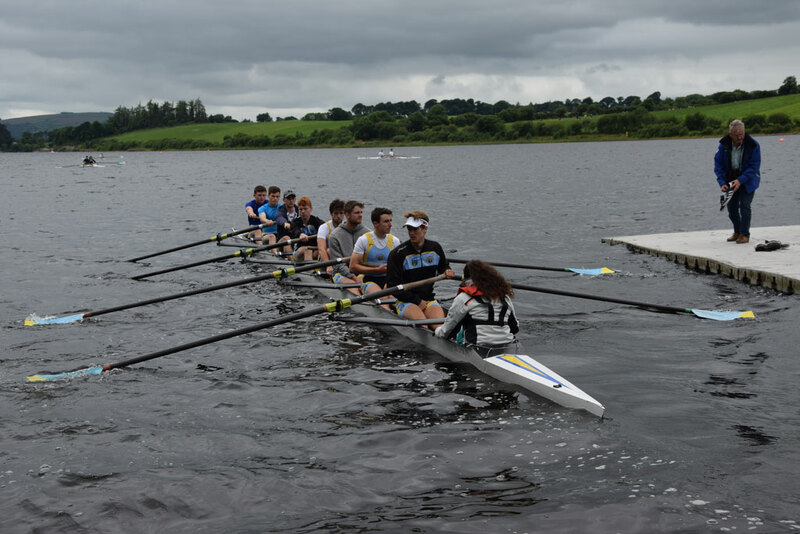 A fine battle with the UCC Intermediate 8+ in the heat saw both crews overtake the NUIG Senior 8+ in the closing stages. In the final, NUIG’s Senior 8+ got out to a lead in the first 500m with UCD giving chase and edging away from UCC in 3rd. 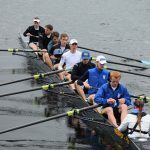 UCD continued to edge away from UCC over the remainder of the race but NUIG held their lead to win by a length over UCD, with UCC another length back. 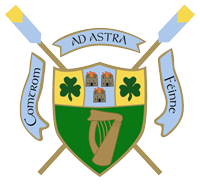 UCD Boat Club (@UCDBC) from Cork, Ireland. On the water since 1917. Proud residents of Belfield, Islandbridge and Blessington. Ad Astra.Follow us for live footage of our major races. 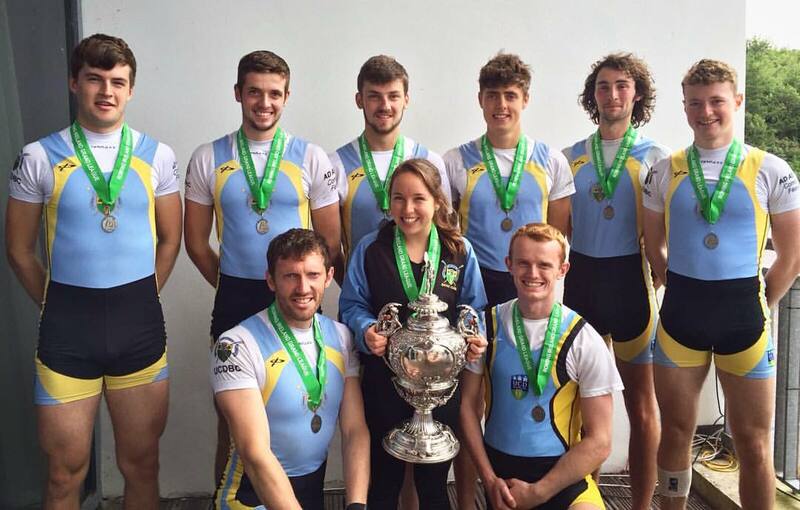 Full results from what was a busy weekend for UCD are available at Rowing Ireland.